Chama’s’ experience various challenges in handling money. Most groups work on high self-assurance and in the case of problems, money recovery gets to be troublesome. To avoid the very nature of extortion and deceptive members, a Chama leader can make an individual short term investment decision as they await consensus among members. Treasury bills and treasury bonds are the best options to avert any loss within the group. Investing in treasury bills is actually a loan an individual gives to the Kenya government through the Central Bank. A Chama can register formally as a recognized institution and venture into treasury bills. The government promises to pay back with interest after a certain period. The government will always pay, so any group investment is risk free. 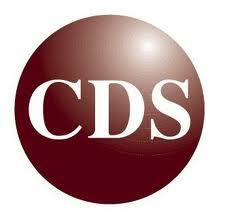 To invest in treasury bills in Kenya, the Chama leaders must open a CDS Account with Central Bank of Kenya. The group will need a minimum of Sh100, 000 to invest in treasury bills in Kenya. Any higher amount must be in multiples of Sh50, 000. The investment period is 3 months, 6 months or 1 year and rates vary from about 8% – 10% per year and are normally published in the local dailies. Just like treasury bills, treasury bond’s are also issued by the government to raise money. Again, like in treasury bills, you cannot lose your money. The treasury bills are longer term instruments over 1 year. The minimum investment amount is Sh50, 000. In comparison to treasury bills the returns are low.